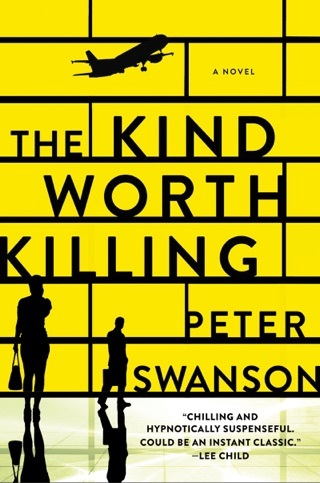 After racing through 2015’s The Kind Worth Killing, we were thrilled for another dose of Peter Swanson. He unfurls the dramatic story of the traumatized Kate Priddy at a delicious pace, pulling us into her world with fierce calm and precision. After a horrendous attack in London, Kate comes to stay at her cousin Corbin’s luxe Boston apartment—but it soon becomes clear that trouble may have traveled across the Atlantic with her. At times, we could barely stand the tension. 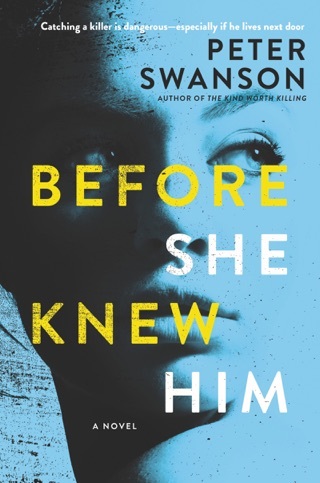 Kate Priddy, the heroine of this unconvincing psychological thriller from Swanson (The Kind Worth Killing), who's still traumatized by a boyfriend turned stalker, impulsively agrees to swap her London flat with Corbin Dell, an American cousin she has never met. After a harrowing plane trip and a ride through Boston's Sumner Tunnel that prompts a panic attack, Kate arrives at Corbin's luxurious Beacon Hill apartment just before the discovery of a murder in the apartment next door. The body of book editor Audrey Marshall is marked with gruesome postmortem cuts, which prove to be similar to those of other victims in places where Corbin has lived. Kate begins to suspect that her cousin knows more about Audrey's murder than he claims. As a fragile Kate tries to hold herself together, another stalker targets her. The characters, especially the female ones, rarely make rational decisions, and Kate herself doesn't consistently react in the face of grave danger in the manner of someone suffering from crippling anxiety. Swanson fans will hope for a return to form next time. 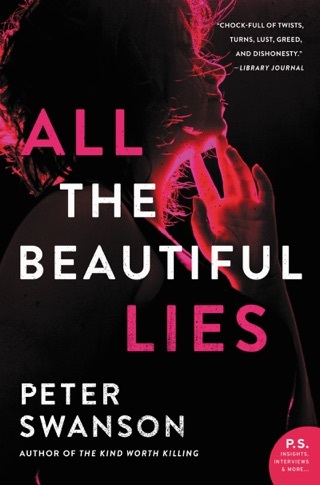 Another awesome book from Peter Swanson! After finishing "Those Worth Killing", I was so impressed with this author that I couldn't wait to read another one of his books. 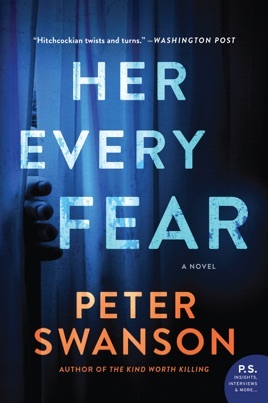 "Her Every Fear" is a fantastic book, and I was immediately hooked on the characters and the story. Peter Swanson does an amazing job enabling the reader to understand why the "bad guy" is bad. The characters are so well described that the reader is able identify things that happened in each character's life that most likely caused them to become who they are; to become the "bad guy". 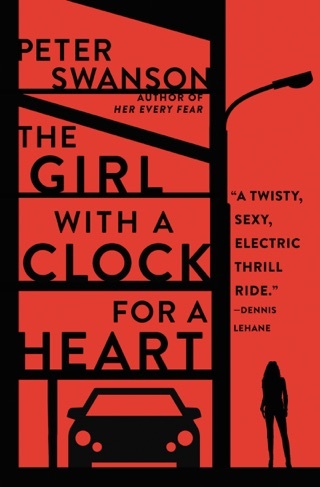 I'm starting "The Girl with a Clock for a Heart" next, and I'm excited to meet these characters and read their story. 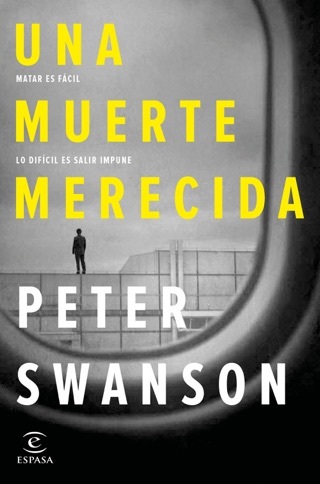 I hope that Peter Swanson is ready to publish another book soon...very soon!! He is one of the best mystery authors I have ever read. I found this thriller intense and emotional .